Silicone baking products have come a long way from when they were first introduced to the market. I know I personally didn't have a very good experience using a silicone baking pan I had purchased when they were first introduced. My food stuck to the pan and made it hard to get out. But thankfully like most things with time silicone products have come a long way. I was a little skeptical when I went to try my baking mat due to my previous experience, but now I can file those worries away. I have to say I really do love how the mat works, especially with baking cookies. I didn't follow the cookie sizing chart on the mat because I was using a roll of cookie dough that I had cut into slices, and therefore ended up with the cookies all touching each other. But that didn't change my perspective at all, the sugar cookies came out perfect in my book because they were nice and soft even after having removed them from the mat and they were completely cooled. After I took the first set off there wasn't any cookie crumbs left behind to clean off, and the next batch baked just as good as the first one. My mind has been since running through all of the great foods I could use it for without them stick. Plus clean-up is a breeze with some hot soapy water. • 100% Professional German Grade, FDA Safe & BPA Free Silicone. • Heat Resistant from -40°F up to 450°F. • Oven, Dishwasher, Microwave and Freezer safe. • Non-Stick: Nothing sticks to it. • Reusable up to 2000 uses. • Convenient Size: 16 ½" x 11" fits a half-sized baking sheet. • Rulers help you measure food placement. 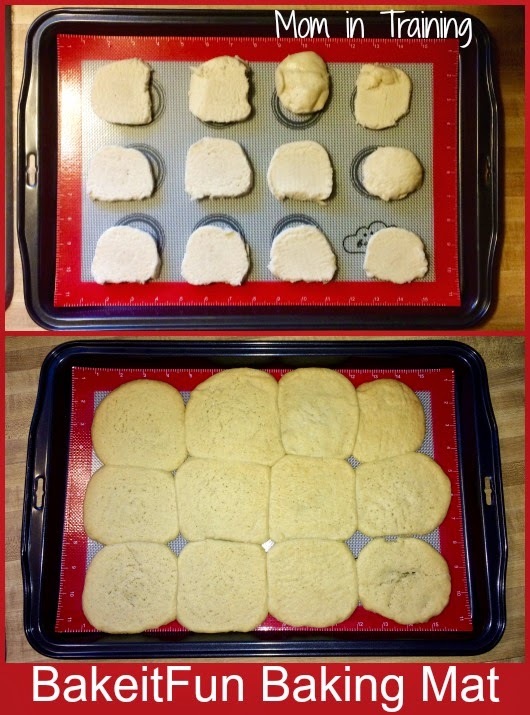 • Circles provide perfect cookie sizing. 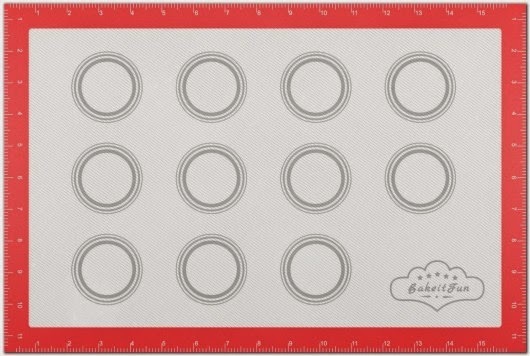 Buy it: You can purchase the BakeitFun Baking Mat online.